CREDIT: Successful completion of this course (80% or higher) will earn one credit toward the Small Museum Pro! certificate from AASLH. 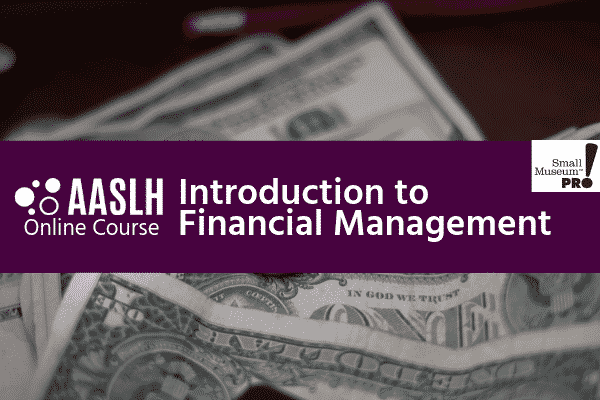 Whether you have financial responsibilities at your organization, wish to build a skill set for a leadership position in the future, or simply want to better comprehend and contribute to financial decision-making, this course is for you.